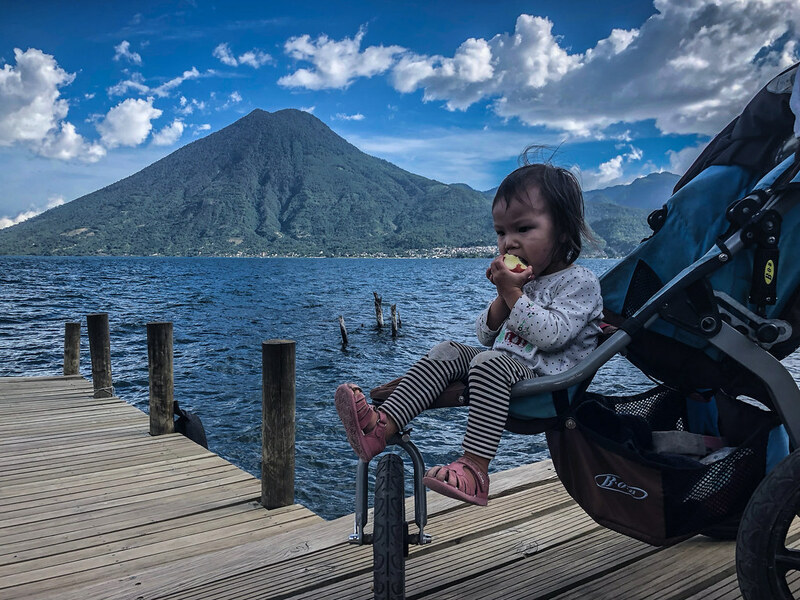 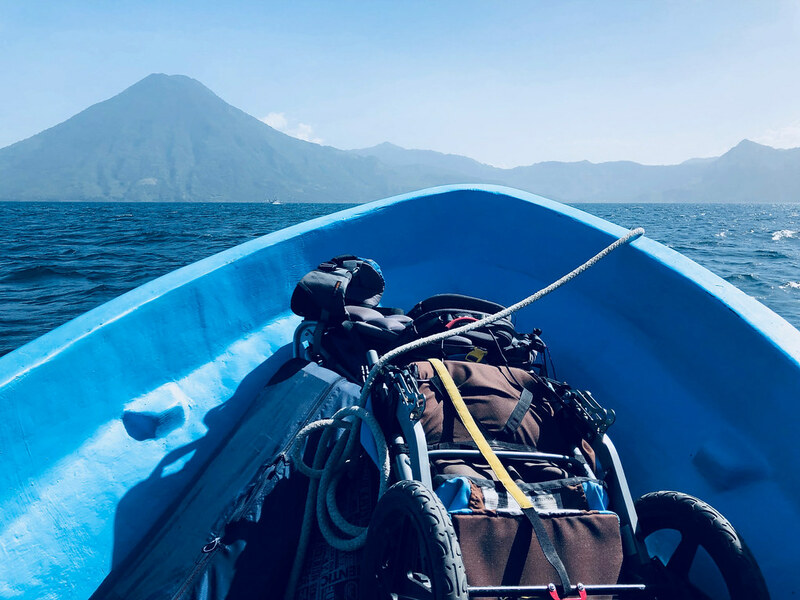 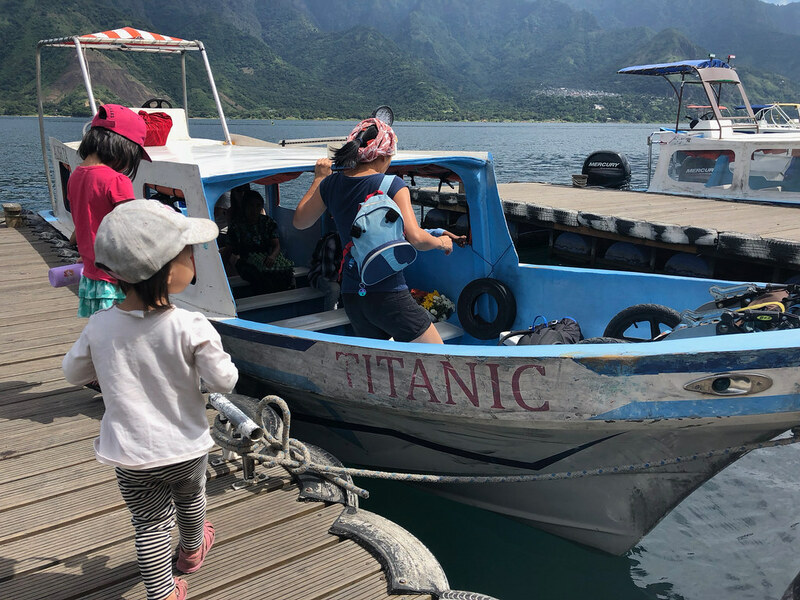 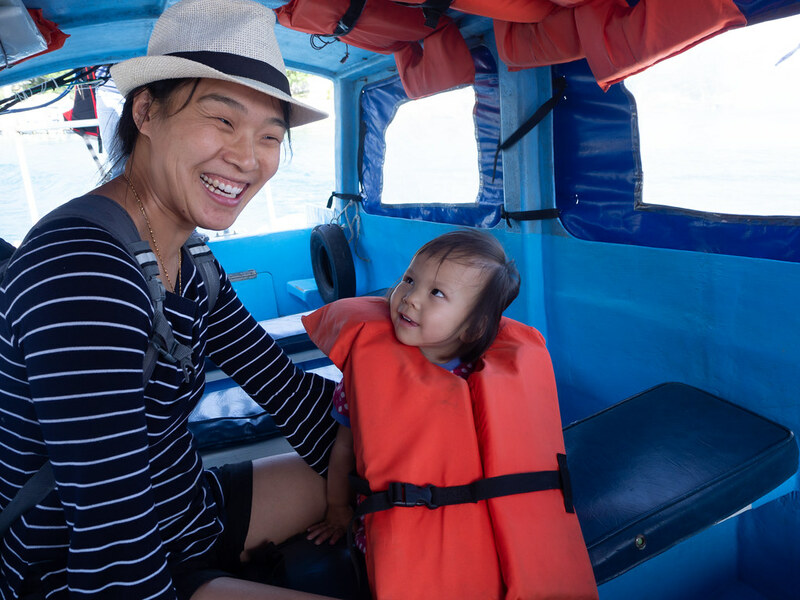 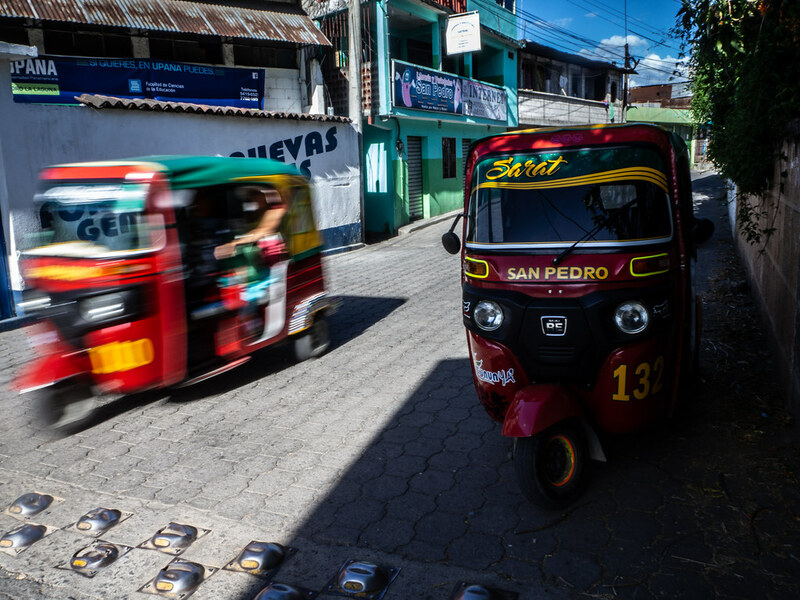 We spent 2 wonderful and lazy weeks by Lago Atitlán in the town of San Pedro la Laguna, which is perched on the lake and underneath a huge volcano. 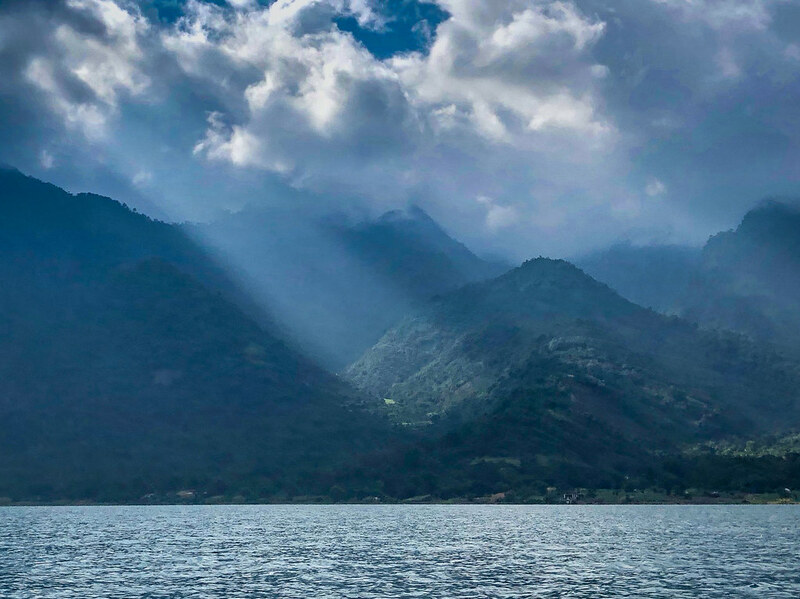 Every evening there were terrific thunderstorms generated by the mountains. 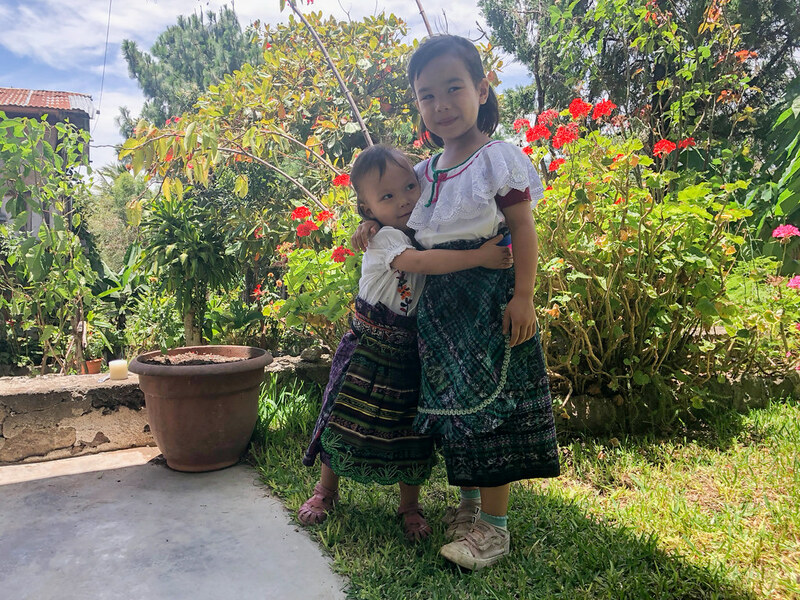 We stayed in a little house in the Corazón Maya Spanish school, and did 3 hours of lessons each morning while the girls played. 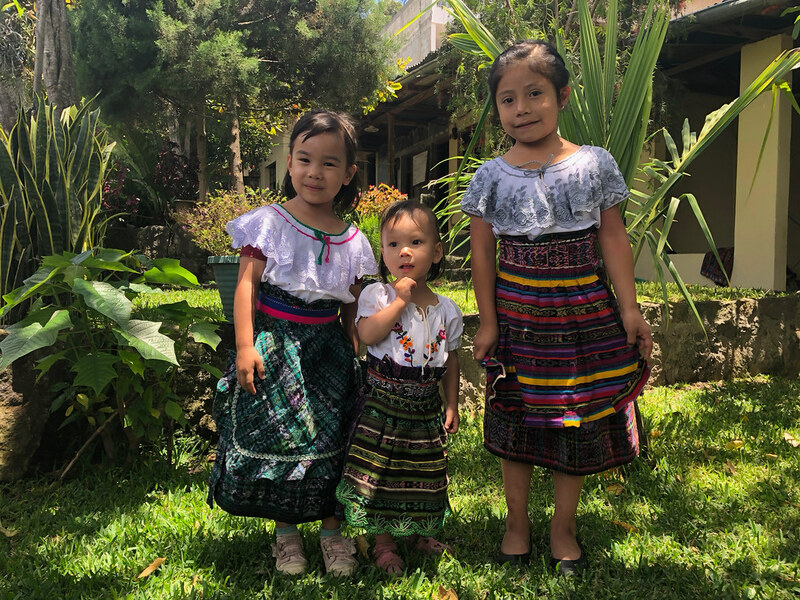 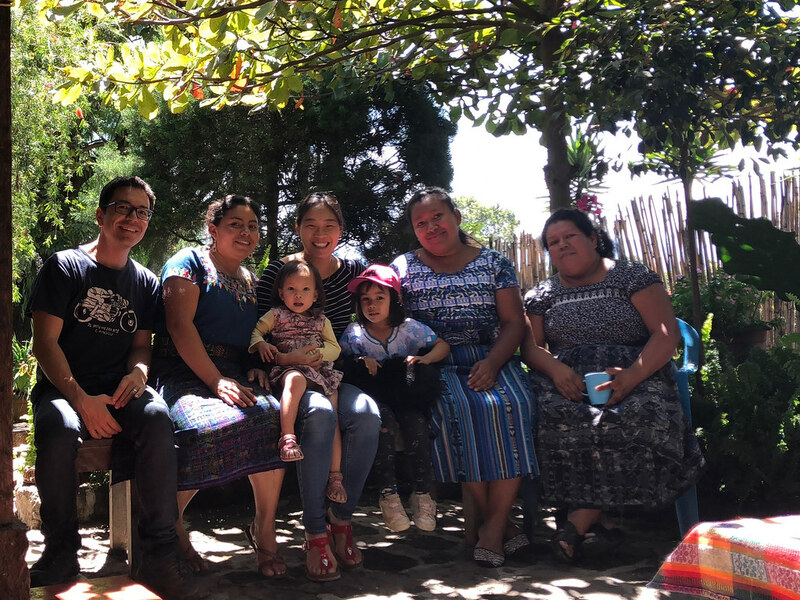 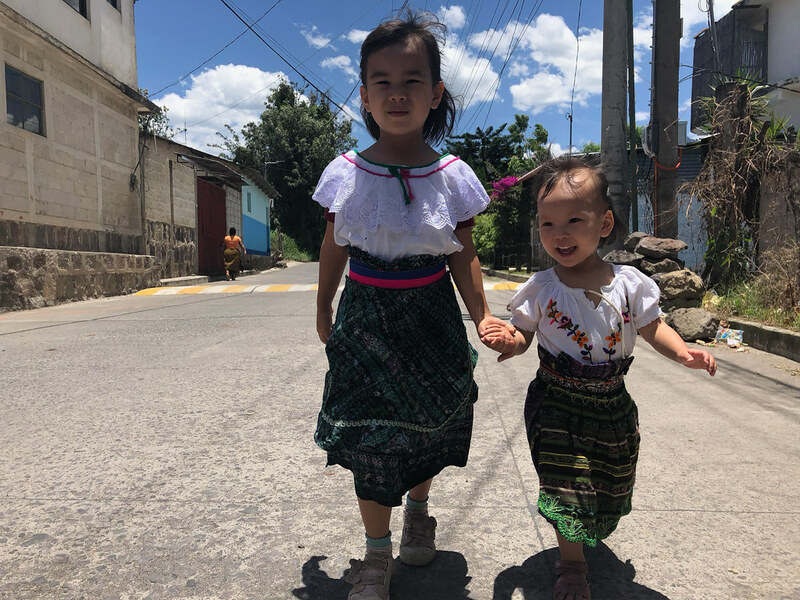 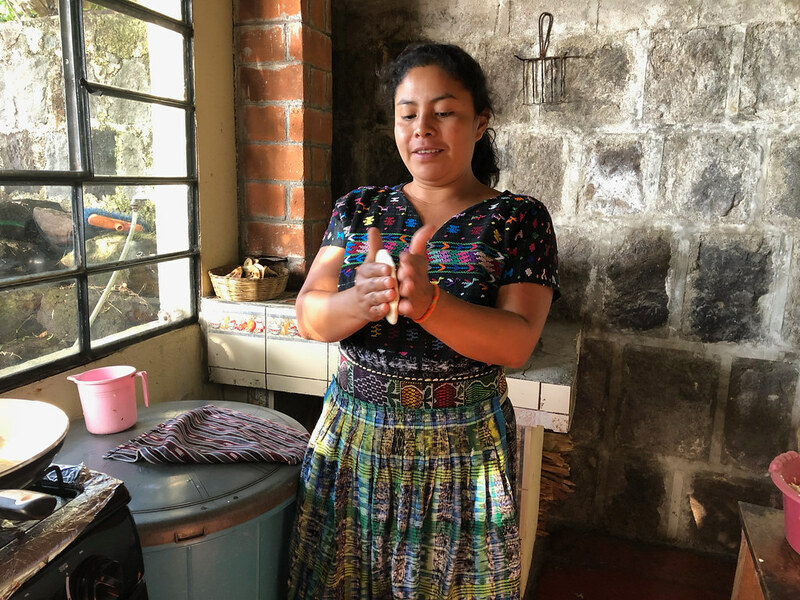 They had loads of fun playing with Xija, the owner's grand-daughter, and dressing up in traditional Guatemalan trajes. 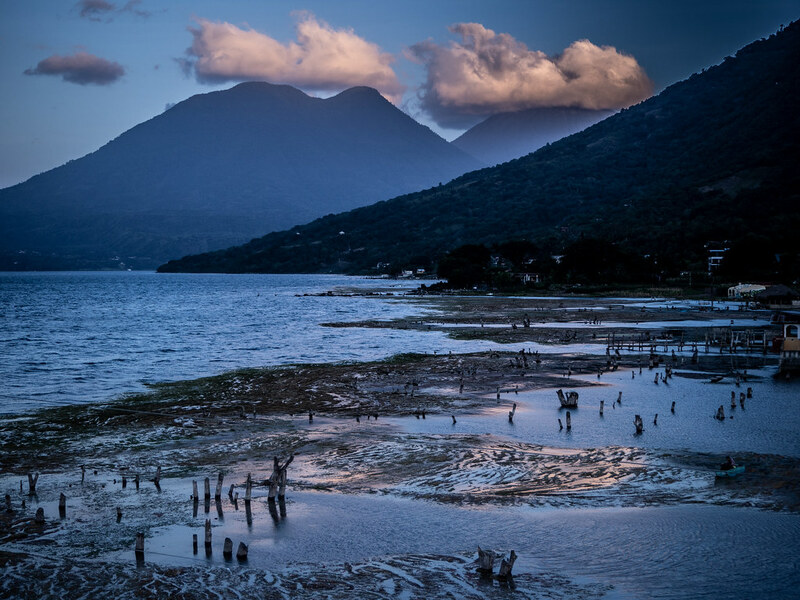 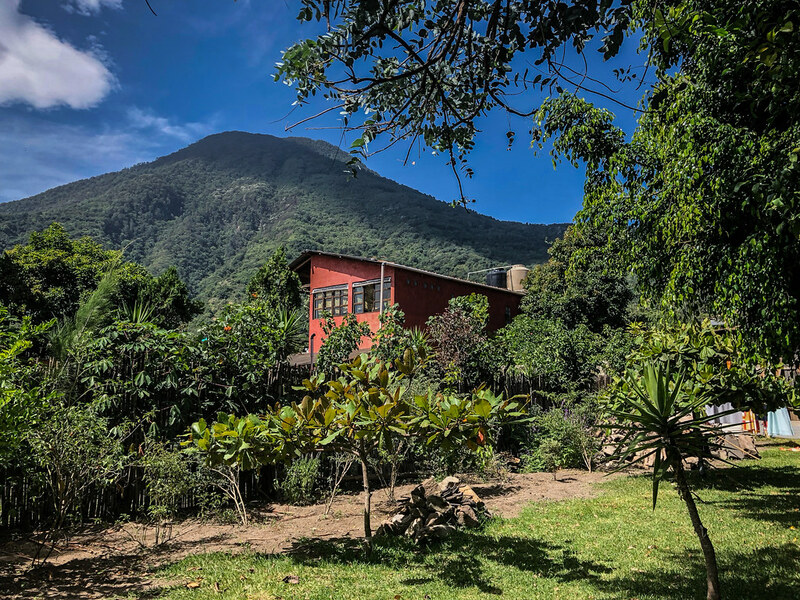 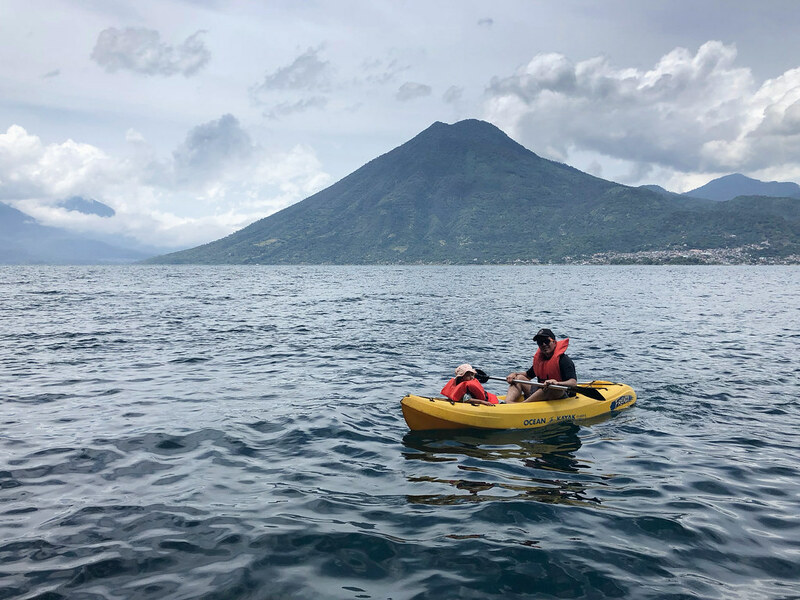 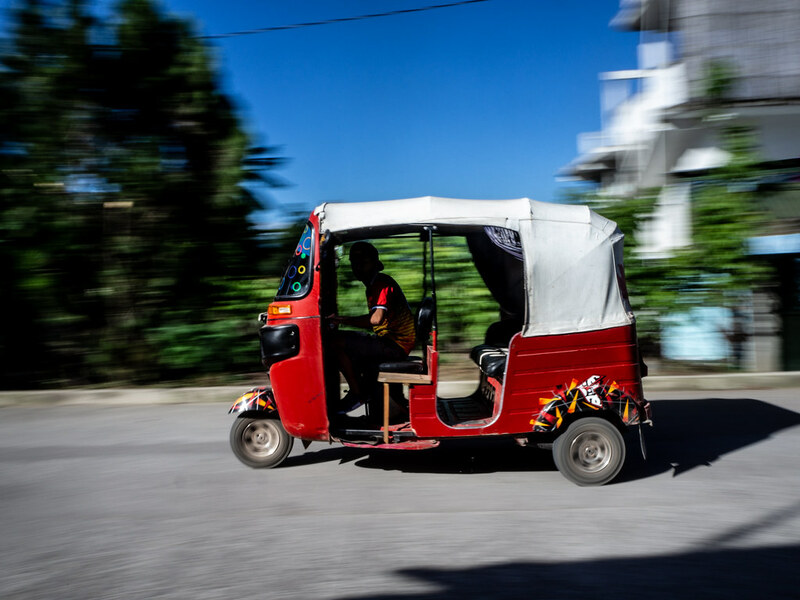 From San Pedro it was easy to take excursions to nearby towns on the lake, and to go swimming and kayaking while gazing at the volcanoes. 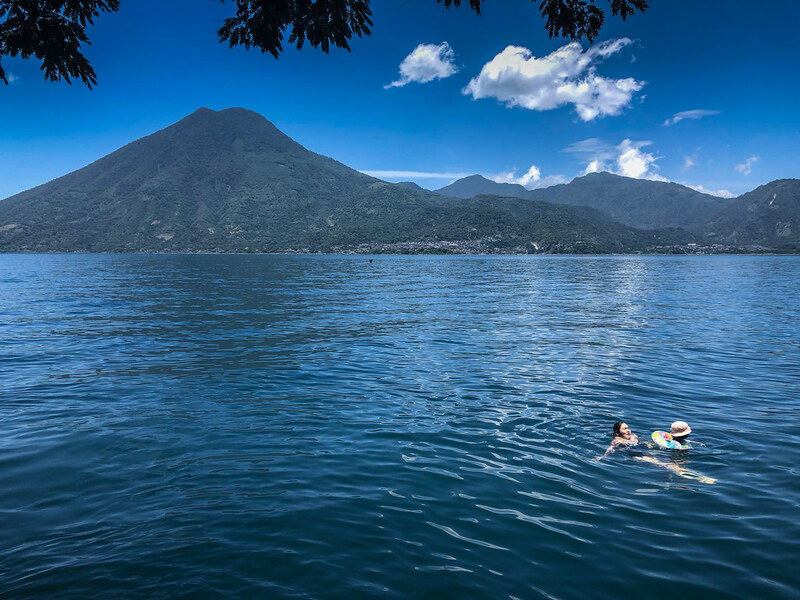 We had a great time around the lake and look forward to returning again sometime in the future. 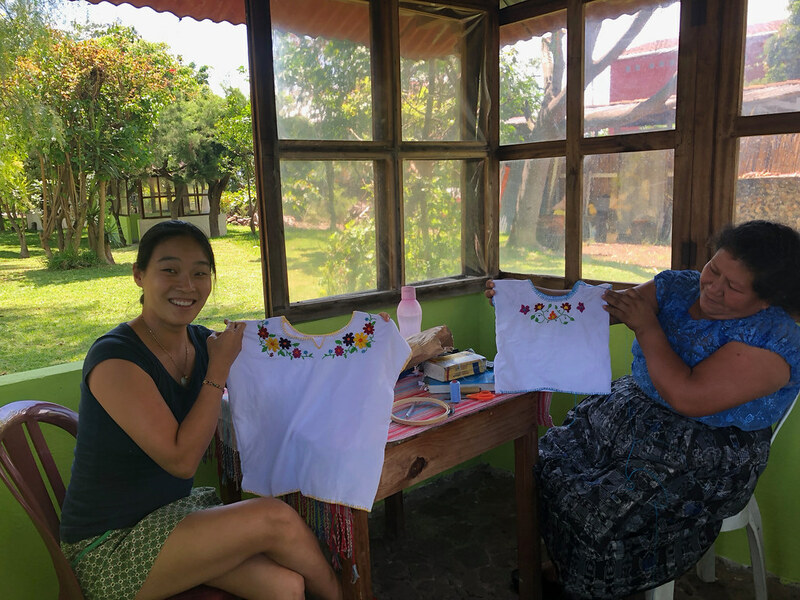 Glo made her first blusa, hecho a mano!